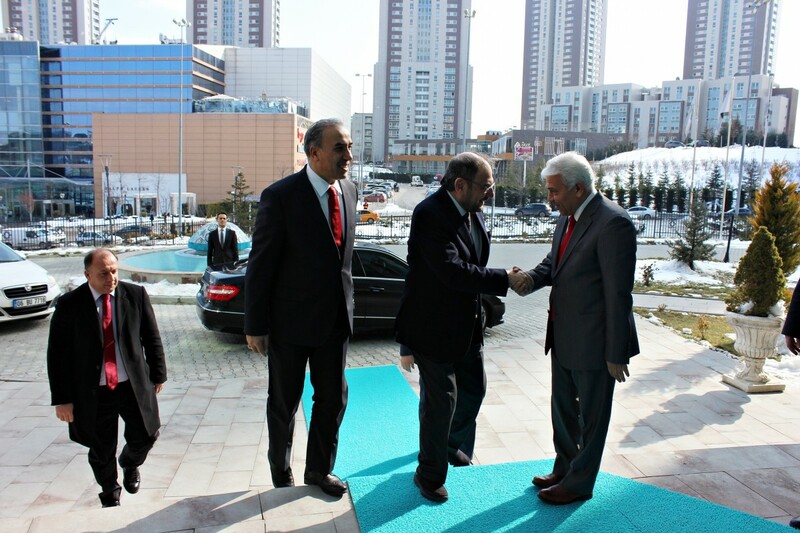 During his official visit to Ankara on 10th February 2016, the Secretary General of the OIC, H.E. 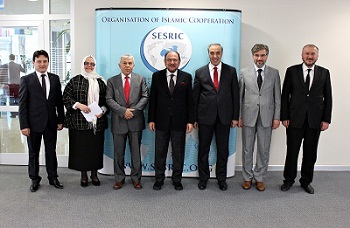 Iyad Ameen Madani, had paid a courtesy visit to SESRIC. He was welcomed by the Director General of the Centre, H.E. 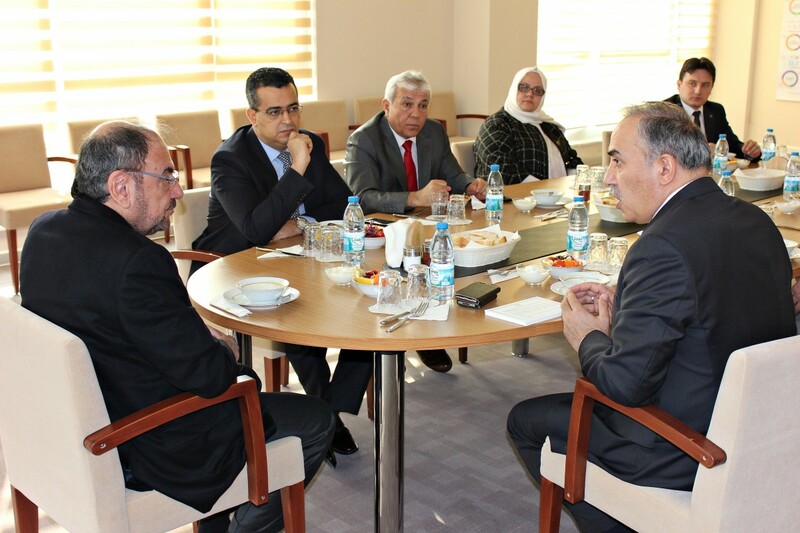 Ambassador Musa Kulaklıkaya and the Heads of the Departments at the Centre. During the visit, H.E. 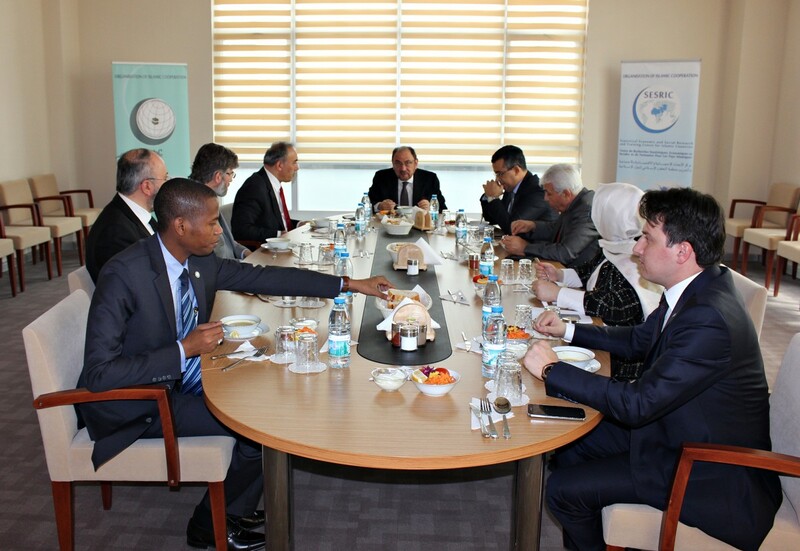 Ambassador Kulaklıkaya, the Director General, briefed the Secretary General on the most prominent current programmes and activities of the Centre. These included among others the activities and the programmes of the Centre in the domains of combating radicalism and violent extremism, humanitarian crises in OIC countries, particularly the case of humanitarian requirements of the Syrian refugees, social issues and family affairs, the Libyan Programme for Reintegration and Development (LPRD) project. 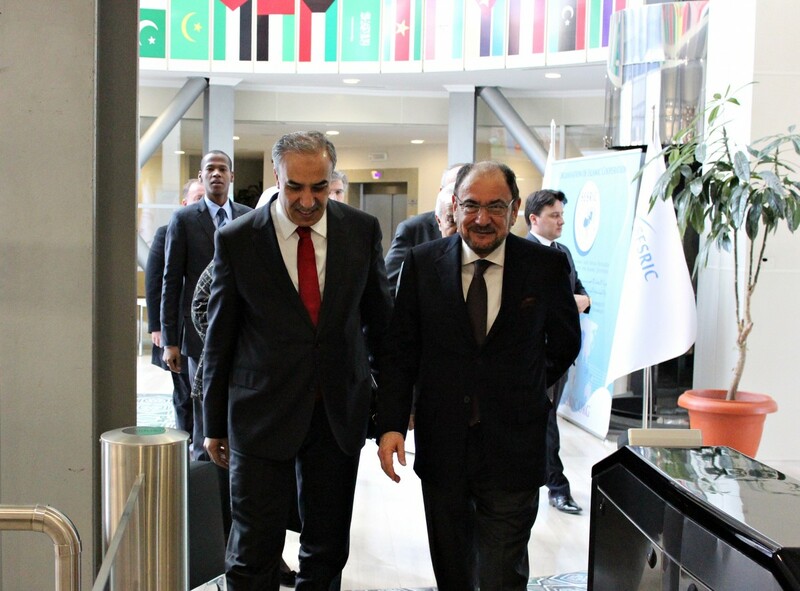 He also briefed the Secretary General on some administrative and financial issues of the Centre. At the end of his brief, the Director General assured the Secretary General on the willingness and readiness of SESRIC to strengthening its cooperation with other relevant OIC institutions with a view to enhancing the quality of the services provide by the Centre to the member countries.